Why have I not been healed? This question was asked of Mr. Walter in thousands of letters, and are what prompted him to write this book. It is an easy matter to tell a patient his good points, but it takes a very courageous heart to tell him the faults that are hindering his healing. 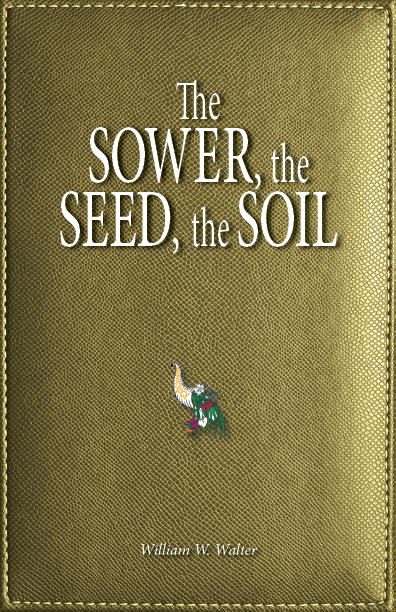 The theme of this story, with fictional characters, was suggested by one of the most beautiful and instructive parables that Jesus gave - the parable of the sower. Mr. Walter brings out its metaphysical, mental and spiritual wisdom. It can be seen that in this parable Jesus told the what and the how of spiritual or mental healing. He also explained why some are healed and some are not, and when any healing will be accomplished. As the story progresses, deeper degrees of meaning are explained.